UPDATED: Sun., July 8, 2018, 4:13 p.m.
A man died Sunday afternoon after he entered the Spokane River and was not able to stay afloat, according to police. 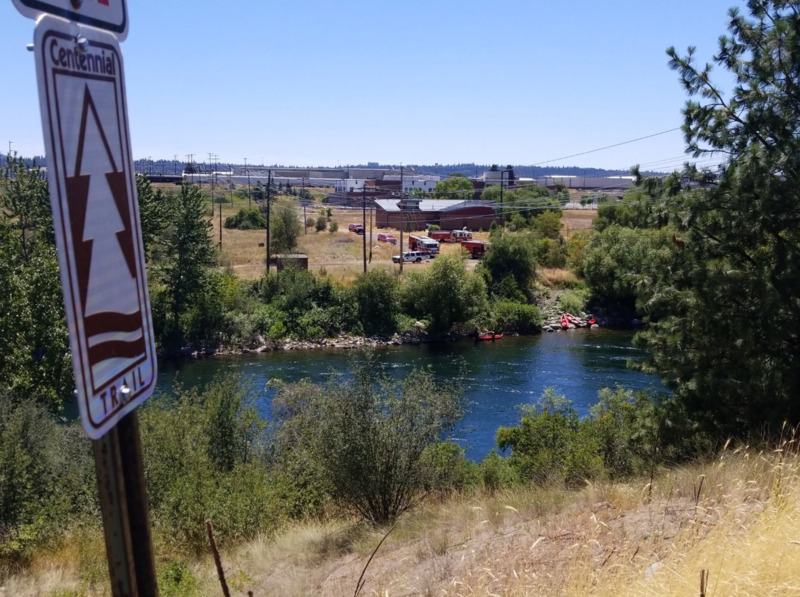 At about 1 p.m., crews with the Spokane Fire Department and a water rescue team responded to a call from witnesses, who said a man was struggling to swim in the river near Upriver Drive and Havana Street. By about 1:45 p.m., rescuers had pulled the adult male from the river, at which time lifesaving measures were undertaken, including CPR. He was then transported to a local hospital where he was pronounced dead, said Officer Joshua Laiva, spokesman for the Spokane Police Department. Laiva said Sunday that investigators were unsure why the man was in the water. “Some witnesses tried to help him but weren’t able to get him out,” he said. The Spokane County Medical Examiner will release the man’s identity in addition to cause and manner of death. Published: July 8, 2018, 4:05 p.m. Updated: July 8, 2018, 4:13 p.m.